Last month, Kemco announced Saiaku Naru Saiyaku Ningen ni Sasagu for PlayStation 4. The visual novel, otherwise known as Dedication to the Person who is the Worst Disaster, is now confirmed for Switch as well. 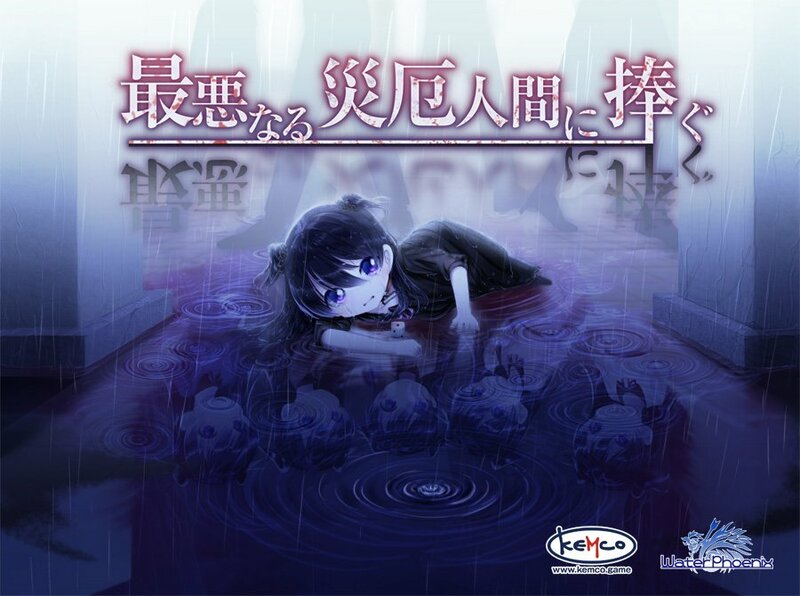 Kemco is working with Water Phoenix on Saiaku Naru Saiyaku Ningen ni Sasagu, which is supervised by Rei-Jin-G-Lu-P scenario writer Amphibian. In the game, a girl named Kuro is able to move between five different worlds but can’t be seen by anyone other than Hyouma. Meanwhile, Hyouma can’t see any living thing other than Kuro. After the two get close, a disaster befalls them. Saiaku Naru Saiyaku Ningen ni Sasagu will release digitally at the end of September on the Japanese eShop.